Given how few new apps people download on mobile and the steep drop-off within apps, getting Day 1 retention right is critical. The reality of mobile apps is harsh. 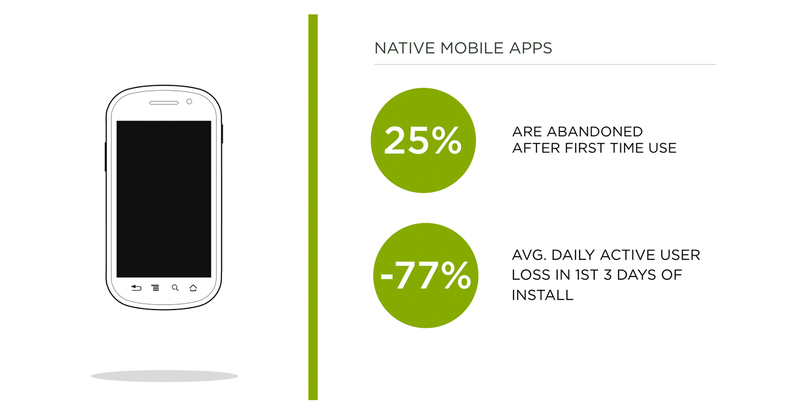 Most people don’t download new apps and once they do, abandonment is high. Given the cost the effort required to get people to download your app, Day 1 retention is a critical metric. Day 1 Retention is the fraction of people that return to your app one day after install. If you don't get Day 1 retention right, the rest really doesn’t matter.